Help reduce signs of stress, fatigue and aging with products formulated specifically for the delicate eye contour. Lightweight eye cream relieves under-eye puffiness and intensly moisturizes while providing anti-oxidant protection. 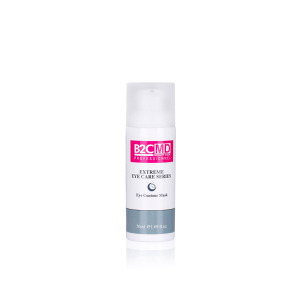 Provides intense hydration and anti-oxidant protection. Patented Pre-Tocopheryl, a photostable form of Vitamin E, provides powerful anti-oxidant protection against free radicals. Innovative eye cream, Extreme Eye Contour Mask with a unique technology that adheres the formula to the targeted eye area to help fill wrinkles, firm and plump the skin and reduce the appearance of puffiness and dark circles. Formulated specifically for the delicate eye contour. This line specifically formulated for the fragile skin around the eye.